Functional resumes are dying a slow, painful death. This is because applicants would rather focus on the prestige of the companies they had worked for in the past rather what they did during their stay with those companies. A functional resume spotlights the applicant’s strengths and areas that they perfectly excel at. 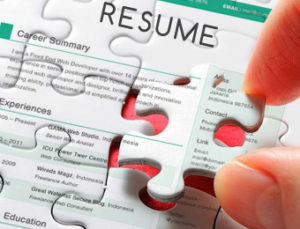 Moreover, functional resumes highlight the applicant’s prior work experiences and focus less on titles and employers. The main goal of a functional resume is to present an applicant in the most direct and professional light that detours away from the glitz and glamour of high-paying job titles and company identity. Applicants find it taxing to draft a functional resume due to its straightforward approach. Applicants immediately conclude that projecting their job titles on the application will help them impress employers. Applicants who have had a combination of professional experiences that are relatively unrelated to the position being applied for are best suited to use a functional resume for their application. Here are efficient ways to write a functional resume. This is recommended for applicants with a fruit basket of work experience and want to shift careers in the future. Use action verbs rather than self-descriptive words. Action verbs such as evaluated, launched, suggested, and translated are more specific than passive, self-descriptive words such as aggressive, competitive, competent, analytical, and talented. The functional resume should not exceed three pages. Applicants should directly focus their attention on strengths and nothing more. The most common elements found on a functional resume are the applicant’s header, education, work experience, and references. The functional resume is not as different as traditional and conventional resume. Use sub-headings to spotlight strengths. For example, use the sub-heading Organizational in enumerating skills that have correlation with the organizational aspect of the companies that you had worked for.